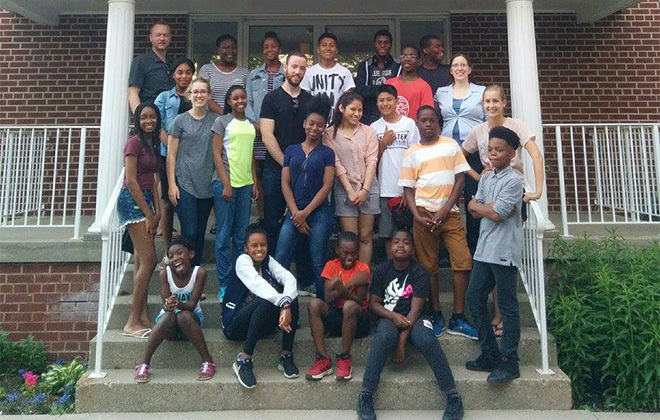 Welcome to Kingsview, we are an inter-cultural and inter-generational church serving the Kingsview Village-Westway neighbourhood of Toronto and beyond. 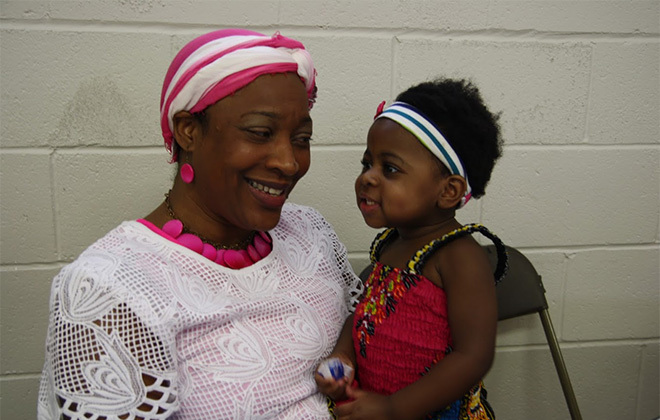 Kingsview has weekly programming for infants, children & youth on Sunday mornings during the Worship Service and various times during the week. Nursery provided during Sunday service. Infants & Toddlers can be dropped off in the Nursery (located on the lower level of the building) anytime after 10:30 a.m. on Sundays until the end of service. You may stay with your child(ren) in the nursery if you wish, the audio portion of the service is accessible while you’re there. Sunday school classes are organized by age groups. Children are dismissed about halfway through the Sunday service to go their classrooms on the lower level of the building until the end of service. 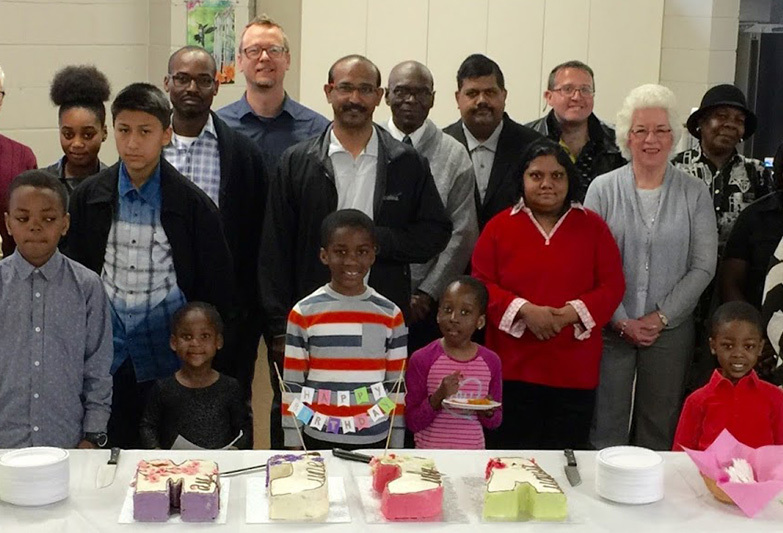 Monthly "Family Sundays" are geared to children & youth and they remain in the main service. Sunday school classes, by age groups during service. Young people are not the future of a church, they are the present! Our goal is to support parents in raising their kids to become people of faith. 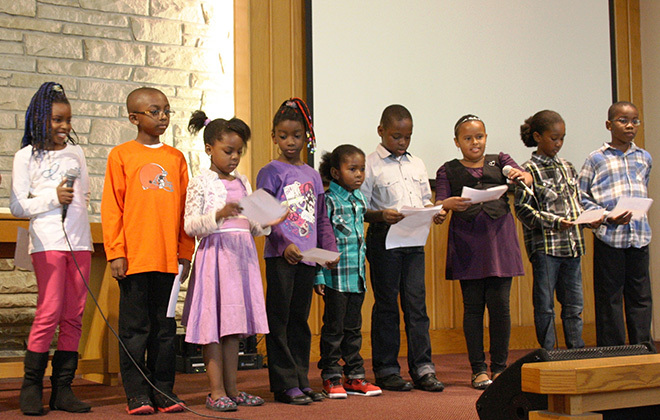 We encourage and facilitate children & youth of all ages to be an integral part of the life of the church. They take part in or lead prayer, music, drama, and scripture reading and also serve alongside the adults in the church and community. We offer weekly programming for infants, children & youth on Sunday mornings during the Worship Service and various times during the week. Our Sunday programming includes music, playtime/games, and Bible lessons. 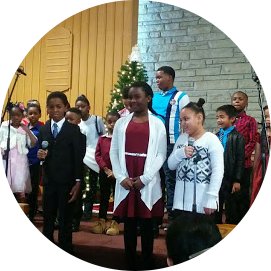 Seasonally, children & youth are involved in practice for and performance of a Christmas and/or Easter musical. Grades 6 to 12 meet together on Sundays for "Donuts & Discussion" an interactive dialogue with leaders on topics that are relevant to youth (often chosen by the youth). They are dismissed about halfway through the Sunday service to go to the Lounge on the main level of the building until the end of service. On Fridays, the youth group meets for "TnT." Friday meetings include a mix of interactive Bible lessons, games, food and social events. We’re glad that you found us. We want you feel comfortable and know what it looks like on Sunday mornings at Kingsview. And we know you’ll soon feel like part of the family. 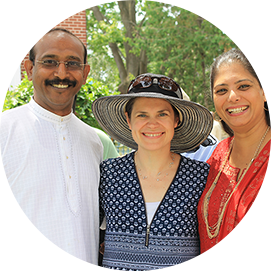 One of the first things you’ll probably notice is that we are a very diverse congregation. Currently about 30 countries are represented among us. As a result, people wear all kinds of clothing, from traditional, cultural fabrics, to suits & ties, to jeans & T-Shirt. Come as you are! We are just a 1-minute walk from the Kingsview Blvd. TTC stop on Islington Ave. (Route #37). We have plenty of parking, including street parking and overflow parking at Kingsview Village Community School, 1 York Rd. 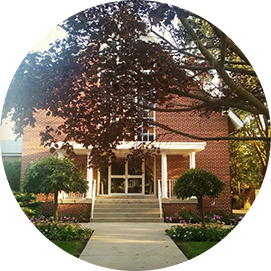 Our Sunday services start at 10:30 a.m. and last on average about 75-90 minutes. 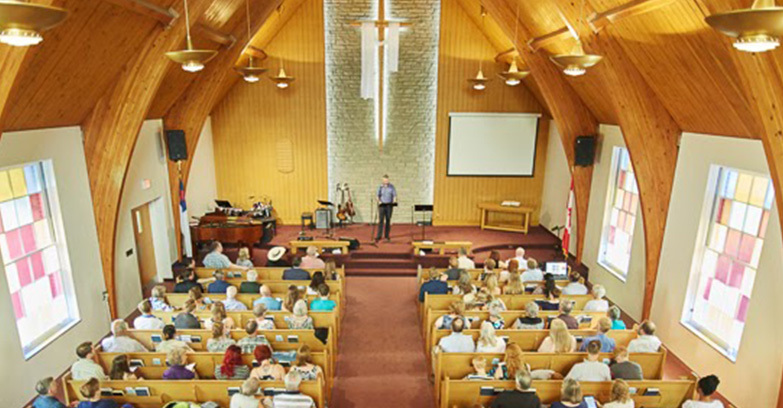 There is a mix of traditional and contemporary music, announcements, scripture readings, sometimes a video presentation, a time for giving, prayer and a sermon. Communion is served monthly and there are special services during Advent (Christmas) and Lent (Easter) seasons. We encourage everyone to worship as they are comfortable, there are periods of standing, and periods of sitting, some quiet reflective times, and sometimes (often with music) where people are clapping, raising their hands or moving – however God’s Spirit inspires you. People also like to interact before and after the service, it’s a great time to meet someone or have a conversation with a friend. Prayer is really important to us. We believe that God both listens to our prayers and answers them. 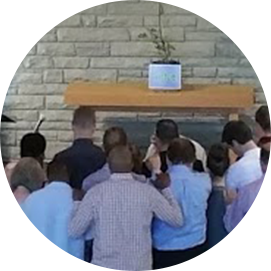 If you have a prayer request, please click here or use our communication cards located in the pews to write a request. Prayer requests are kept confidential by the pastors unless you give permission to share them with the prayer team or with the congregation. We encourage everyone to pray. Pray to the Lord. Pray for yourself. And pray for others. There are regular opportunities for answered prayers to be shared, as well. Notes of praise are printed in our weekly bulletin, spontaneous times of sharing are giving at regular periods in our Sunday worship services and of course, we encourage you to share that prayers have been answered with people in one-on-one conversation. We also have a dedicated Prayer Team that meets on Thursdays at 10:00 a.m. for an extended period of intensive prayer & worship. They will pray for you and your prayer needs as requested. If you are interested in joining this group, please contact Pastor John-Mark. There are various ways to connect with us; you’ve found our website and we’re also on Facebook (see link below). We always want to meet newcomers, and answer any questions you might have and help get you connected in meaningful ways. Ushers & greeters welcome people as they arrive. The pastors and leaders are available following the service. You may also want to use our communication cards (located in the pews) with options to provide contact information and/or a prayer request.